(MoneyWatch) For the past few months, I've been telling anyone who will listen about my quest to figure out my next book topic. My publisher focuses on business, so I'm hunting for a big business book idea, or my "BBB," as I've taken to calling it. The BBB turns out to be an elusive creature. Not only does it need to justify 70,000 words, with a title that makes people say "I need to buy that book," I also need to be enamored enough with the topic that I'm willing to devote the next 18 months of my life to it. Kind of a lot to ask of an idea, right? So at times, stalking this project seems a bit like trying to photograph a snow leopard in the Himalayas. There are false sightings, and tracks that go nowhere. 1. Make time to look. While the next big thing might just appear to you, counting on luck is a questionable strategy in professional contexts. You'll be more focused if you know that every Tuesday and Thursday from 4-6 p.m. you'll be thinking about the project you want to do next. That doesn't mean you'll get the idea during that time. You'll probably get the idea in the shower. But, to paraphrase the famous Pascal quote, shower thoughts come to the prepared mind. 2. Ask for input. There's a reason I talk to everyone about the BBB. If you're facing a difficult question, there's no reason not to get other brains working on the problem, too. 3. Test out ideas. Think of yourself as a chef running a food truck. You try a menu item. If it doesn't work, you try something else the next day. Sometimes I write blog posts about potential book topics. If clicks don't soar, that means I'd be doing a lot of heavy lifting trying to explain the title. Maybe I need a different angle. 4. Study other people's tactics. Someone is likely succeeding in whatever field you're in. What is that person doing? What might work for you and what just wouldn't? Even if you're aiming for something completely different, seeing and analyzing success is inspiring. You see that it's possible. That encourages you to be patient. Your time is coming. 5. Pay attention. When you find yourself repeatedly drawn to ideas or topics, that suggests that you've happened upon fertile tracking grounds. 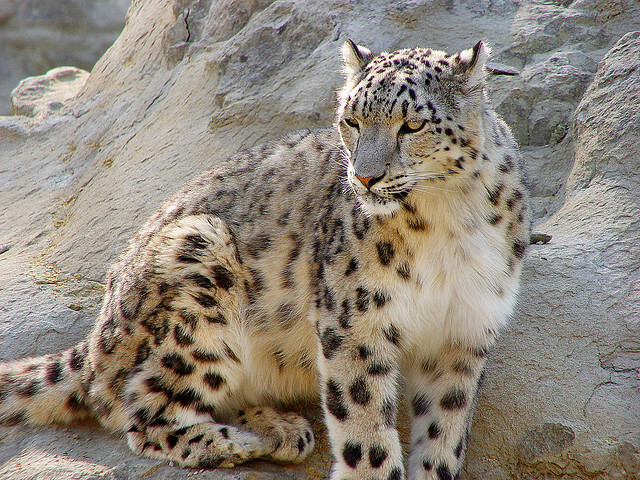 Over time, if you keep observing and learning more from each observation, eventually the snow leopard (or at least the BBB) will appear. How do you figure out your next project?